Bandai Namco has kicked off a Soul Calibur 6 documentary series in anticipation of the game’s eventual release. Only part one of the Soul Calibur 6 Swords and Souls: The Rise of Soul Calibur doc has been released so far. It details the history of the iconic fighting game franchise, as well as the feedback from gamers who have grown up playing it over the years. The first part of the documentary, “The Stage of History,” features the opinions of many prominent gamers who have been playing the Soul Calibur franchise since the very first game in the long-running franchise, 1995’s Soul Edge, or Soul Blade as it was known in North America, Europe, and Australia. These gaming figures include Tekken brand and community advisor Markman, streamer Maximillian, as well as several Evo 2018 finalists like Kayane and LinkRKC. According to the reactions in the documentary, it seems that Soul Calibur 2 is the most fondly remembered title in the franchise. It was prominent for having a huge following in arcades before being ported to consoles. The gaming figures in the Soul Calibur 6 documentary each recounts his or her memories of playing the game back when it was released over 16 years ago in 2002. The developer/publisher has not announced when the next part of the Soul Calibur 6 documentary will be releasing. However, it’s likely that the documentary will end before the game releases later this month. In other related news, Bandai Namco producer Motohiro Okubo recently confirmed that a Soul Calibur 6 Nintendo Switch version isn’t in development, but it might still be possible sometime in the future after the launch of the game. 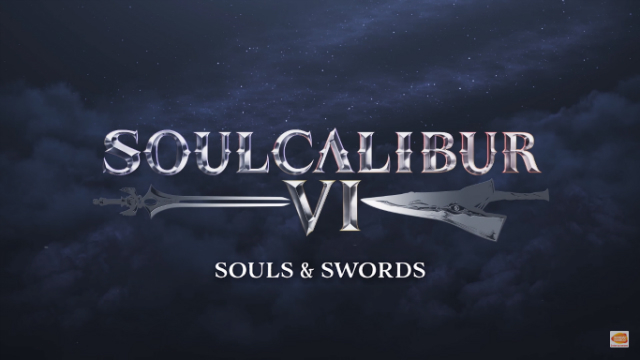 In the meantime, check out part one of the Soul Calibur 6 Swords and Souls: The Rise of Soul Calibur documentary series below. Soul Calibur 6 is slated to release worldwide for the PS4, Xbox One, and PC on October 19, 2018.